A BOOK THAT TOUCHES THE SOUL! 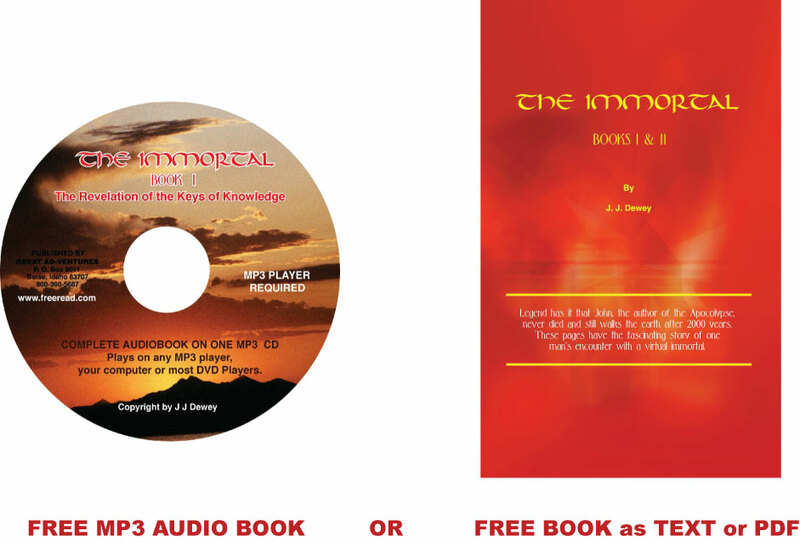 OUT OF THE THOUSANDS OF FREE BOOKS ON THE WEB THERE IS NOT ONE THAT WILL HOLD YOUR ATTENTION LIKE THIS ONE! 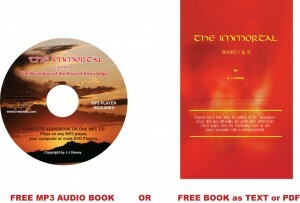 Free Audio Book on CD – Order a free CD containing a copy of “The Immortal I” in MP3 (podcast) and PDF (text) file formats. As an extra bonus, the CD also contains seven original songs written by the author himself (see ordering information below). Russian Version Free PDF Download HERE!